As of 11 a.m. Saturday, Florence is still a tropical storm, with maximum sustained winds holding steady at 65 mph. The center of the storm is located about 1,600 miles southeast of New Jersey, or just 800 miles southeast of Bermuda. As Florence enters an area with a more favorable atmosphere and warmer ocean waters, it is forecast to once again intensify to hurricane strength. (Even now, you can tell on satellite that the storm’s circulation is becoming larger and more organized.) In fact, the latest National Hurricane Center forecast has Florence becoming a major hurricane (110+ mph) again by Monday night. Ah, that is the magical question, isn’t it. On Friday afternoon, I posted a quick video explaining four possible track scenarios for Florence. Even this far out, forecast models have resolved on a reasonable consensus, with the favored scenario pushing Florence right toward the Carolinas. But I have to stress that is far from a 100% sure thing. It would be foolish to ignore the possibility that Florence could wiggle and hit anywhere along the coast, from Florida to southern New England. By the way, the chance for an “out-to-sea” escape is indeed still on the table. However, that option is rapidly dwindling as the storm menacingly charges west toward the United States. 1.) COAST-BOUNCER: The storm "bounces" off the coast, with the center generally remaining over the ocean. A severe wave and marginal wind potential will still exist for New Jersey with a big hurricane so close, but we would escape any soaking tropical rainfall. 2.) 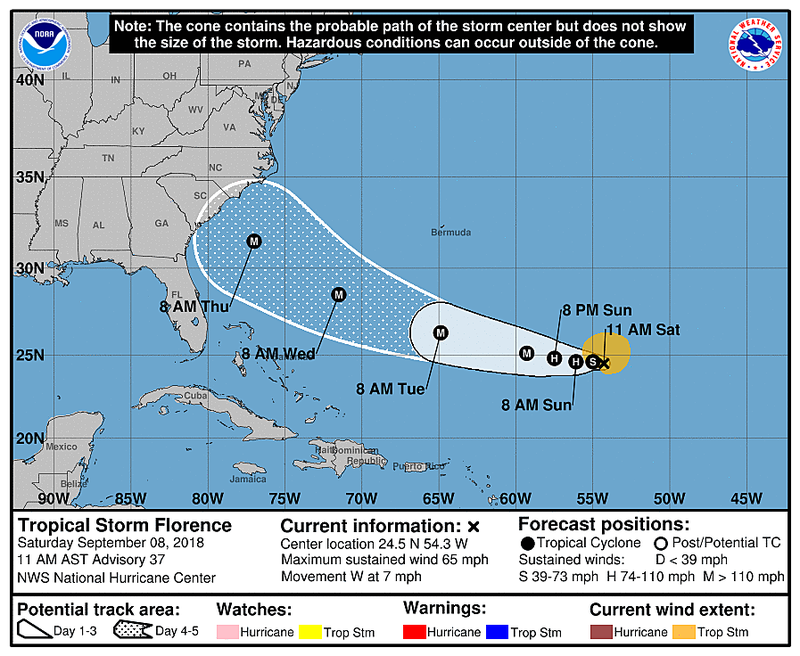 COAST-SKIRTER: Florence makes a gentle right turn and skirts right along the Atlantic seaboard of the U.S. Probably a worst-case scenario for all coastal states. 3.) INLAND: After making landfall, Florence keeps cutting to the west and takes a more inland path. 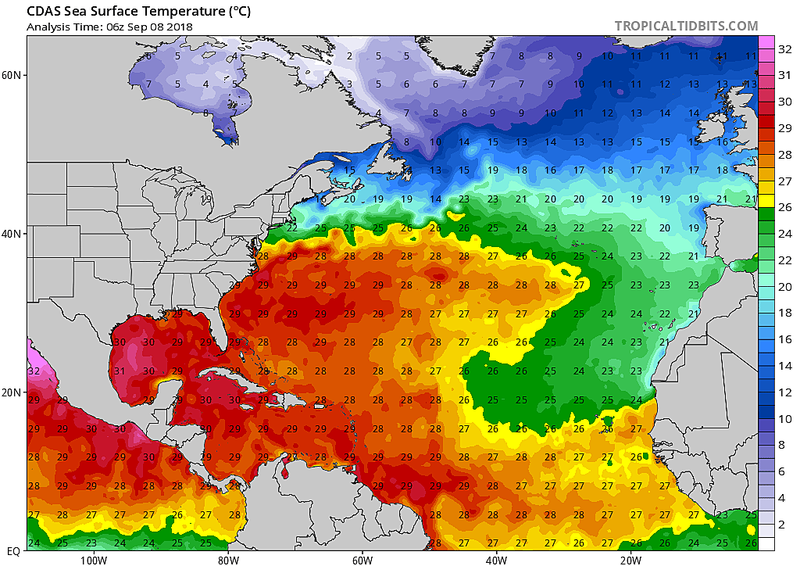 The coastal threat would be mitigated in this scenario, thankfully. And there could be rain and wind for all of New Jersey — but that piece of the puzzle would depend heavily on the exact track, speed, and strength of the storm over land. Countless options, and still lots of time and distance before the storm potentially arrives. When might it arrive in NJ? Another very important consideration, and one that still has very poor consensus among model guidance. Thus far, I've been targeting Thursday-Friday as "prime time" here in New Jersey. But again, this is an ever-evolving forecast. Why is the surf already rough? As you may know, a High Risk of dangerous rip current has been posted for the entire Jersey Shore on Saturday. Furthermore, a Coastal Flood Advisory is in effect for all tidal waterways from the Delaware River to the Delaware Bay to the Atlantic Ocean to the Raritan Bay, during Saturday evening's high tide cycle. 1 to 2 feet of additional water may cause minor to moderate flooding of low-lying areas along the coast. Current watches and warnings for NJ. Light Green = Coastal Flood Advisory. Dark Green = Flood Watch. Can we attribute the heavy surf to Tropical Storm Florence? Only indirectly. I think the east-northeast on-shore flow is a more prominent factor in surging ocean water toward the Jersey Shore. Having said that, it appears that Florence is already spitting some swell at us too from across the ocean, aggravating the surf even more. But 100% hurricane-related? Don't think so. Of course, no matter where Florence tracks, the surf and swell will only get bigger in the coming days. At this point, I've been following Florence for almost a week. And thankfully, New Jersey's outlook is not looking as ominous now as it was a few days ago. There are no forecast models that show Florence direct hitting New Jersey. For now. However, could the storm track shift back again over the next few days? Absolutely. 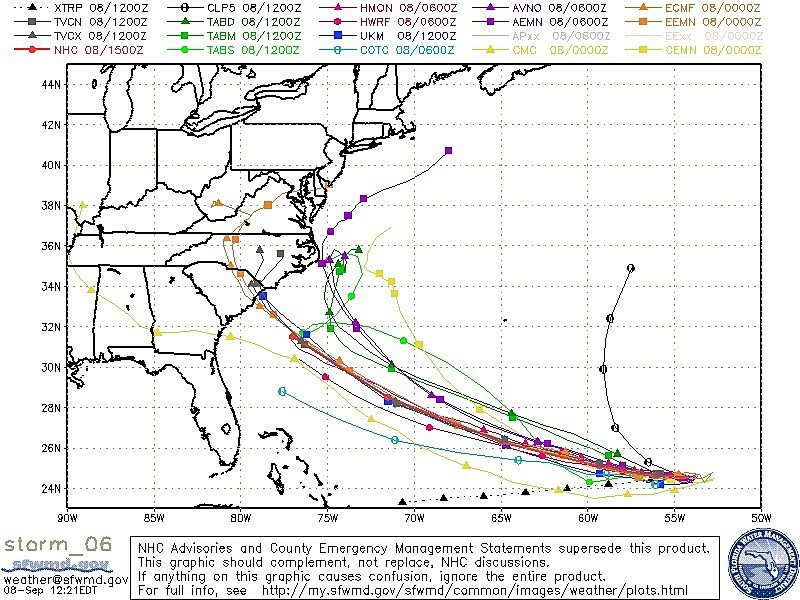 Even if the storm doesn't "make landfall" in New Jersey, could we still see significant rain, wind, and coastal issues? Absolutely. Is there still a chance we get hardly anything from this storm? Absolutely. 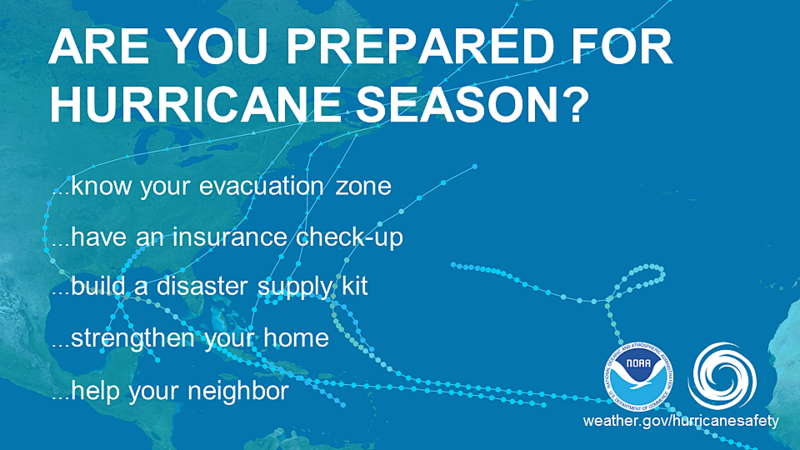 A hurricane season preparation checklist, from the National Hurricane Center. It's my job as a meteorologist to provide an objective assessment of the weather forecast. It's your job to pay attention, practice patience and informed vigilance, and start to think about your "hurricane plan". In other words, it's worthwhile to check your household and food supplies, think about what outdoor objects you may need to secure or bring inside, and consider in advance what storm conditions might necessitate evacuation. As I've been stressing for several days, this storm is not going to "sneak up" on us. If the storm does head for the Garden State, we're going to nail down the forecast with plenty of time for you to prepare. Also worth noting, by the way... Florence is one of several storms in the Atlantic basin right now. Next weather blog update is expected by Sunday afternoon. You can get instantly notified of all Florence forecast developments by downloading our mobile app today.